Now that Fall is pretty much here, it seems pumpkin and apples are recipes that are appearing on menus all over the country. When I think Fall you know what comes to mind besides chunky sweaters, boots, pumpkin pie and apples? Tailgating and Fall Fiesta’s! I love Fall parties, especially when it’s still kind of warm out, with a slight chill in the air. 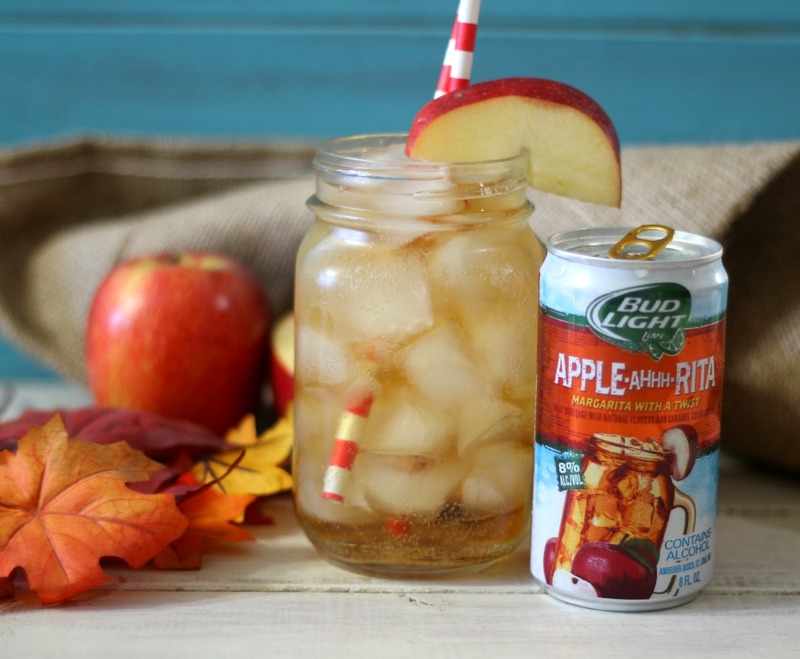 Well now I am sharing with you the perfect Fall drink to help get your party started the Bud Light Lime Apple-Ahhh-Rita. The Bud Light Lime Apple-Ahhh-Rita is a light refreshing drink that kind of reminds me of a mix between a margarita, beer and apple cider. 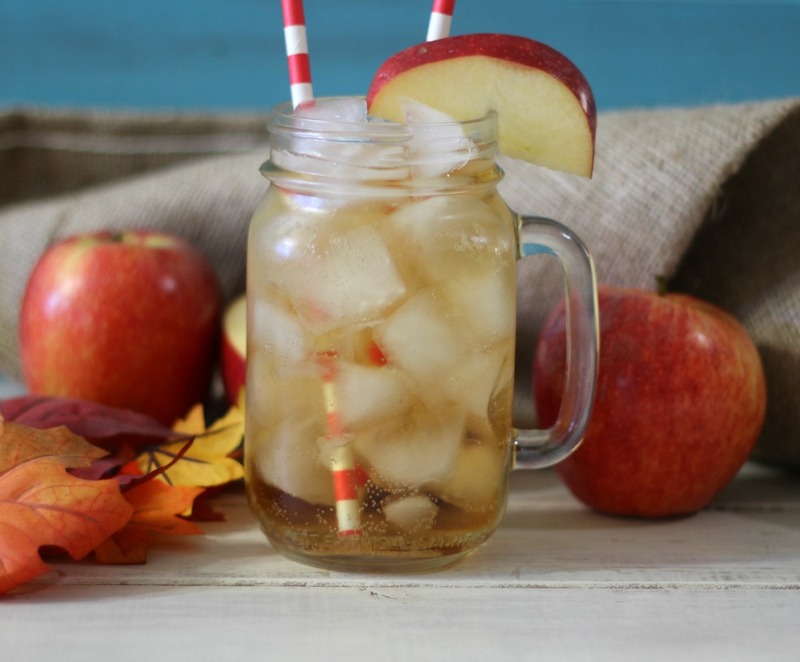 When you open the can the aroma is of sweet apples and I must say it also has a wonderful apple flavor, with the perfect amount of fizz and is simply the perfect Fall Fiesta drink. 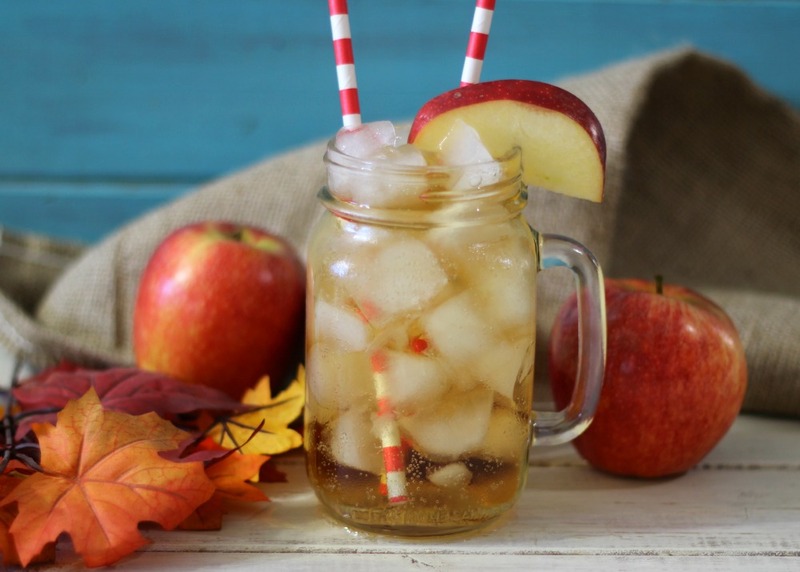 I think the Apple-Ahhh-Rita would be a perfect complement to burgers and hot dogs, but it would also be good with warm apple dips, cheese tray with fresh deli meat, heck it would even be great with spicy little appetizers. The Apple-Ahhh-Rita was a hit with the my friends and also makes for a nice after dinner drink. 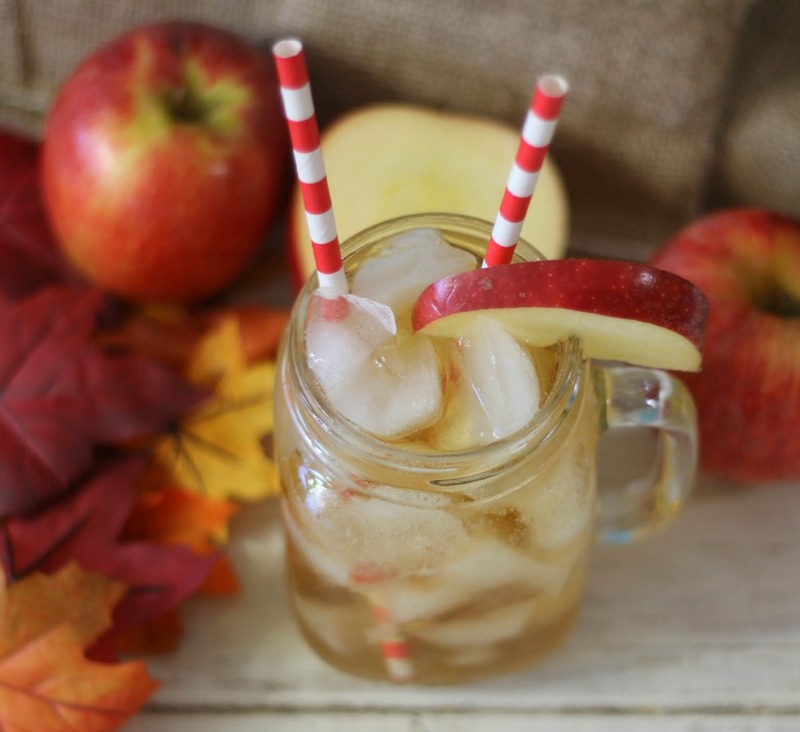 The Bud Light Apple-Ahhh-Rita is perfect for serving in a margarita glass or do like me and serve it in a mason jar filled with ice and topped with a pretty straw and a slice of apple. Maybe zip it up and add a slice of lime and float a mint leaf on top. You can totally make this drink pretty when you serve it. 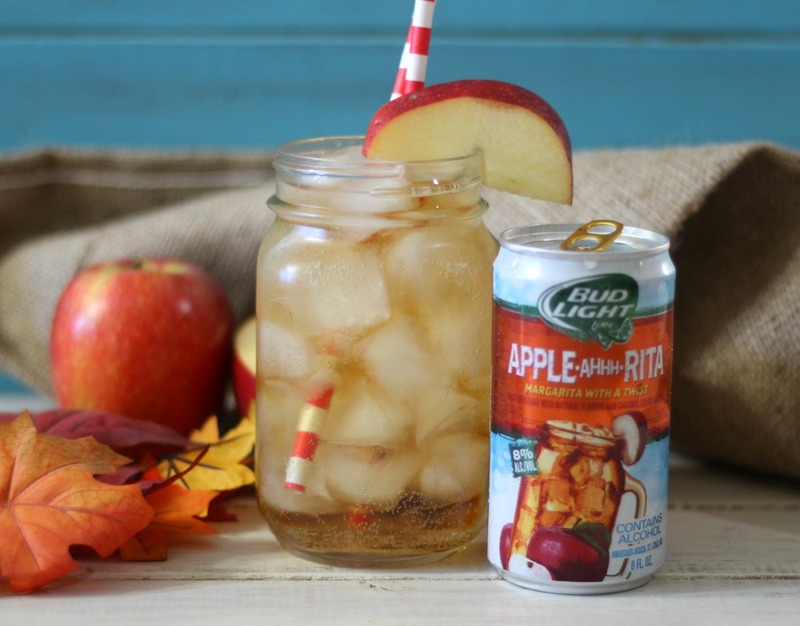 So on your next Fall Fiesta party, tailgating part or ladies night, serve up Bud Light Apple-Ahhh-Rita. It will sure to be a huge hit. After all who can resist a the sweet taste of apple with a hint of lime, simply a light and refreshing drink. The awesome flavors of Bud Light Lime Ritas are so incredibly delicious that wherever they go, a party happens! For more Fiesta Inspiration, visit https://www.facebook.com/budlightlimeritas!